Whether you’re publishing content on a website or social media platform, stand out from the crowd with something that’s meaningful and memorable. It’s a fine line between creating content that’s relevant and content that’s spammy. To help you find that balance, Drs. 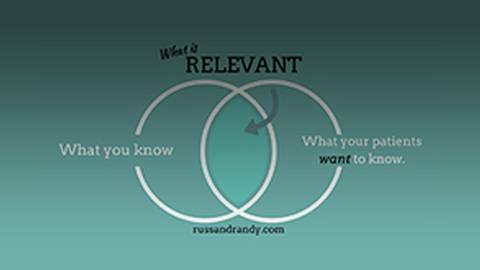 Russ Faust and Randy Wong share the secret to creating valuable content that’s read, remembered, and most importantly, shared.